British Command of the Sea? If eighteenth-century France was not a seapower, may we say that England was a seapower in the Mediterranean during that century? The answer seems evident. The eighteenth century was the period of English ascendancy at sea. It no longer had naval rivals; its maritime trade was flourishing and its navy was able to compete with any enemy and even deter some reluctant countries. In the Mediterranean the Royal Navy relied on the strategic base of Gibraltar, seized in 1704 (and retained after the inconclusive battle of Velez-Malaga, 24 August 1704), and, during the first part of the century, on the advanced post at Minorca which was seized in 1708. From that point onward, it maintained a permanent squadron in the Mediterranean. As Jeremy Black has noted, the British naval presence in the Mediterranean during the eighteenth century marked the beginning of naval diplomacy: ‘it led some admirals, such as Byng in the late 1710s and Mathews in the 1740s, wielding proconsular power, negotiating with foreign rulers, dictating to British diplomats’, to be able to convoy troops, to mount amphibious operations and to intimidate Naples into neutrality in 1742. Britain was not able to do this without difficulties. 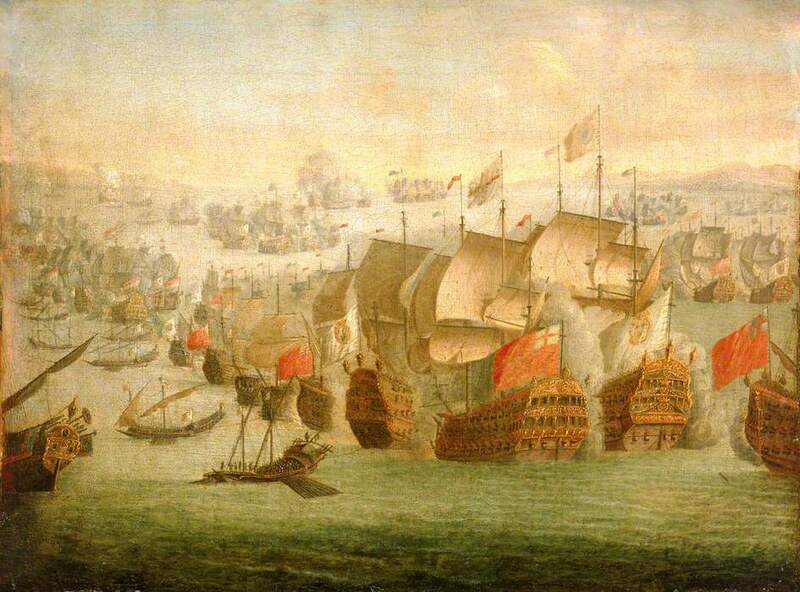 During the Nine Years War England had to engage privateers in the Mediterranean (1695), which meant that it did not have sea control. The use of Gibraltar was the condition for exercising seapower in the Mediterranean, but during the wars the pressure on the Rock was so great that a good part of the Royal Navy’s capabilities had to be diverted to resupply the garrison. When the base was supposed to sustain the fleet, it was, in fact, sometimes the fleet which sustained the base. Consequently, British capabilities were weakened in effectively dominating the western Mediterranean during periods of conflict or simply in protecting British trade. After achieving success in holding Gibraltar (19 March 1705, after five French ships-of-the- line had been sunk and the siege of Gibraltar raised), the Royal Navy was unable to launch the attack against Cadiz that the French and the Spaniards had feared. Even though French trade had suffered heavily, British trade received severe blows from French privateers and also from Tourville’s fleet in the capture of the Smyrna convoy off Cape St Vincent in June 1693 (80 merchantmen seized). For a long time British admirals were not very lucky in the Mediterranean. In 1704 the battle of Velez-Malaga was inconclusive, but would have ended in a British disaster if the Earl of Toulouse had chosen to pursue the fight, since the British ships had no more ammunition. Similarly in 1744, during the War of the Austrian Succession, the blockade of the Spanish fleet initiated by Admiral Mathew ended in failure after the battle of Cape Sicié and he was court-martialed. At the battle of Port Mahon on 20 May 1756 Admiral John Byng was unable to repel the French fleet of La Galissoniére and to prevent the fall of Minorca. He was court-martialed and shot after an unfair trial. The Royal Navy took its revenge three years later in the battle of Lagos, which saw the destruction of the French Mediterranean squadron. The result, however, was strategically ambiguous. The British were unable to recover Minorca and the shortage of naval bases would be fatal for them during the American War of Independence. From this overview we may then conclude that the Royal Navy did hold sea control in the Mediterranean throughout the century. During this period British trade in the Mediterranean remained active and was less sensitive to the shock of wars than the French,26 thanks to an efficient system of convoys. It is this combination of commercial and naval preeminence that characterizes seapower. Seapower, however, is not synonymous with hegemony. Britain had a good instrument in its navy but it was insufficient to match a coalition of Mediterranean powers. Britain had to rely on a French alliance against Spain during the Regency, when the Spanish fleet was destroyed at the battle of Cape Passaro on 11 August 1718, while supporting operations in Sicily. It had to rely on a Spanish alliance against France during the first years of the Revolution. Later, when confronted by a coalition of Mediterranean powers, it was unable to retain strategic sea control, as shown during the American War of Independence or for some months in 1797–98. The experience of the British in the Mediterranean during the eighteenth century reminds us that seapower is not necessarily absolute and does not mean the same thing as sea supremacy.